Some LED bulbs are physically larger than standard bulbs with the same base type. 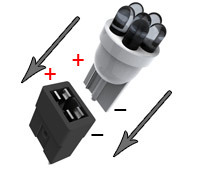 We currently provide full dimensional drawings and list the dimensions of each bulb on the More Info pages. We always recommend checking our bulb dimensions and comparing with the space available where the bulb will be installed. 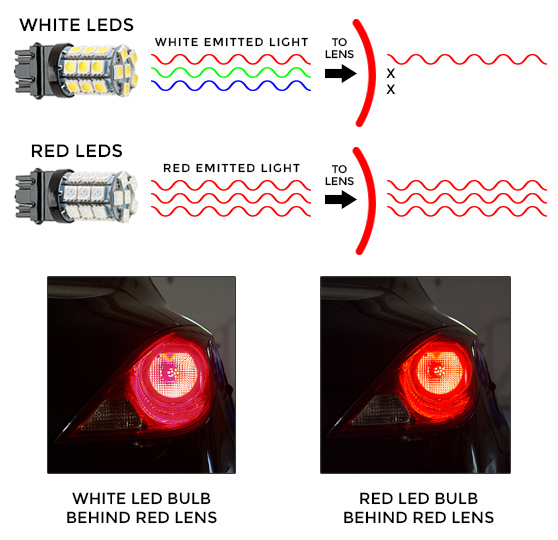 LED tail light, turn light, brake light, and reverse light bulbs are designed to last a lifetime on any vehicle. Choose from many bayonet and wedge bases, such as 1142, 1157, 3156, 7440, and 7443. Dual-intensity, CAN Bus, CK, and switchback options are also available.